Lucinda is a Research Fellow in the Centre for Corporate Law & Securities Regulation. She holds Honours degrees in Law and Arts from the University of Melbourne and is currently completing a PhD in the Faculty of Arts. 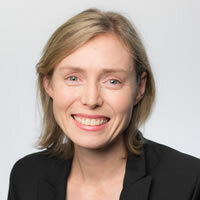 Lucinda has worked in community law, private practice and as a judge's associate at the Supreme Court of Victoria. She has also taught and lectured in the Faculty of Arts.